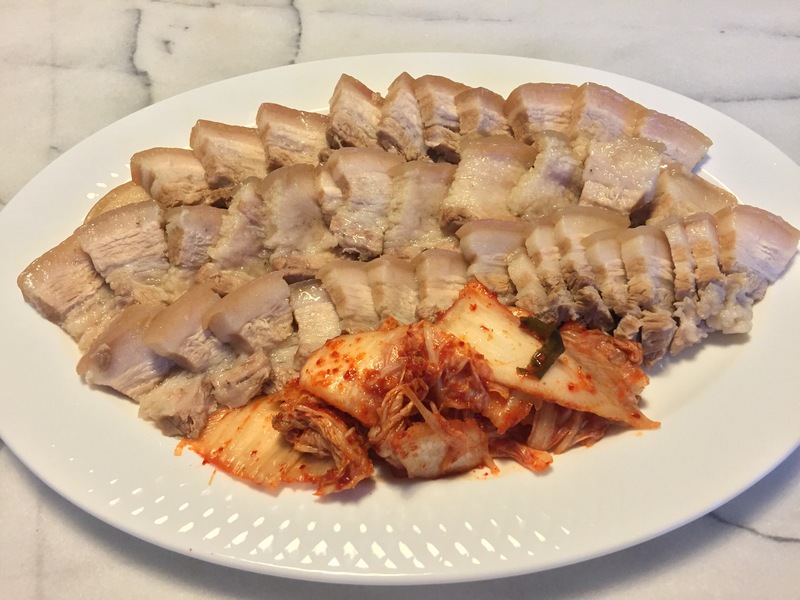 The original plan was to prepare bo-ssam, or usually translated as boiled pork wraps. It’s a traditional Korean recipe, with boiled pork, hot red spicy oyster radish, and subtly flavored fermented shrimp wrapped in a crispy pickled cabbage leaf (Maangchi). So, it’s essentially a pouch of spicy, sour, salty, porky and kimchi goodness! However, due to the lack of time, I settled with just making the boiled pork! The recipe is taken from http://www.maangchi.com/recipe/bo-ssam and it is very easy to follow as well! – In place of Doenjang, I added some soy sauce instead. So give it a try! I guarantee that it’ll be a good experience!